The Transamerica Pyramid used to be the tallest building in San Francisco, before Salesforce constructed a new office tower. You can see the Transamerica Pyramid from Grant Street, the two red lanterns nicely anchors it to Chinatown. 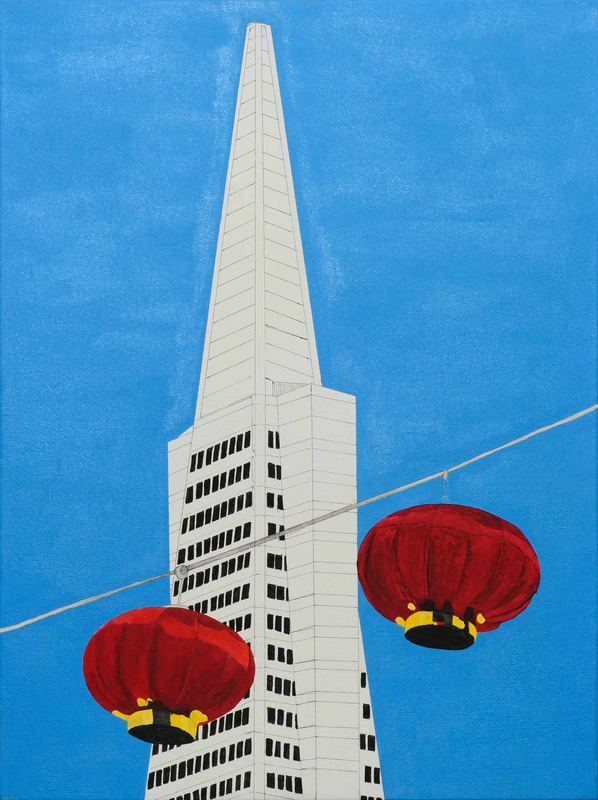 Thank you for your interest in buying the painting "Transamerica Pyramid." As soon as I receive this request, I will contact you to confirm order details and total amount of purchase.